After spending a crazy weekend in Paris decades ago, dashing madly from the Louvre to the Arc De Triomphe, with chaotic traffic and irate Parisians, I had no desire to return to France. That was until my husband Michael and I spent a few weeks at an award-winning vineyard in southern France. It was a far different experience than the chaos of Paris. We slept soundly, rising at our leisure, and breakfasted on coffee, fresh croissants, and homemade preserves. With the low rays of the morning sun boldly defining the serried ranks of vines marching away to the horizon, we surveyed the acres of our new domain. Next door, last year’s grape harvest was already aging in towering stainless steel vats. Adjoining that was the well-stocked warehouse with ample replacements if we ran out of our complimentary bottles. It was every wine lover’s dream. A quick trip to the nearby supermarché beckoned where we found fragrant warm baguettes, towering piles of gleaming eggplant, peppers, and grapes. As well as the unmistakable scent of green vines, leading us to the tomatoes—orange, red, and yellow cherries, mounds of plump romas, and plump juicy beefsteaks. Fragrant bundles of basil lay nearby, as did bottles of green virgin olive oil, crying out to be chopped, sliced, and poured. And a lengthy perusal of the cheese and deli section rounded out our feast. We returned home through rambling narrow lanes bisecting tiny villages of densely clustered stone houses. Our snail-like pace, so different to the frenzy of Paris is a way of life here, as is having to backtrack to allow vehicles to pass. We soon adopted the shrug and “C’est la vie” attitude of this completely different France. With fridge and larder stocked, we set off to explore. With the sun high, overhead the cicadas were in full chorus. 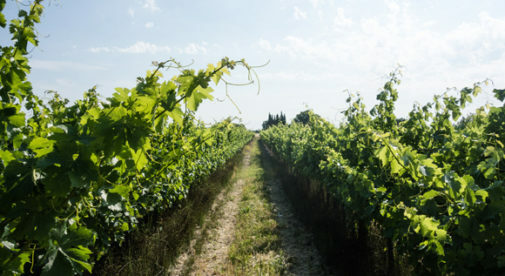 A worn path led us to a small hill, with a large flat rock, perfectly situated to take in the acres of vines, the flower-dotted meadow, and the hum of the combine in the fields below. The “rock” quickly became the place to spread out a picnic blanket, a backrest for enjoying a good book or for catching some sun on those warm days. It was also the perfect place to enjoy the sunsets of fiery reds, gleaming golds, and pastel pinks. With no neighbors, no streetlights and only stars to guide us home a flashlight became as necessary as a corkscrew on these evening strolls. Our first day trip into the countryside was to the impressive Pont du Gard, a Roman viaduct. Staring up at its three tiers of arches, we were humbled and awed, each block so precisely placed and shaped that they still stand almost 2,000 years later. Next, we visited the bridge built by the devil himself (or so the rumor goes). Pont du Diable (the Devils Bridge) in Hérault was the perfect spot to enjoy a leisurely lunch while contemplating how anyone—even the devil—and certainly not the Benedictine monks, who did build it, could have built this. The nearby mussel-growing village of Bouzigues also drew our attention. After watching the farmers, working their rows of drowned poles, hauling up line after line festooned with black shiny clumps, we had to have them for lunch. After a plate of fresh-shucked mussels, a dozen oysters, fresh baguettes and crisp white wine, we stocked up on a pile of fresh mussels to accompany the dry rosé earmarked for dinner. It took me 30 years to discover the real peace and solitude of France, so different from the chaos and frenzy of Paris. I just wish I’d found it sooner. Learn more about France and other countries in our daily postcard e-letter. Simply enter your email address below and we’ll send you a FREE REPORT: A Taste of France: All the Ingredients for the Good Life. 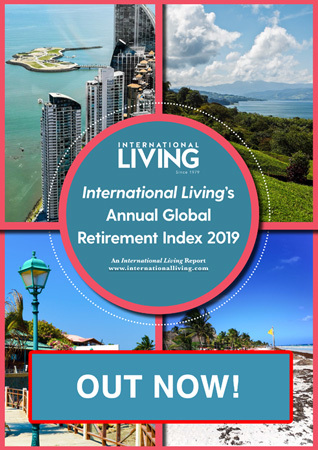 This special guide covers real estate, retirement and more in France and is yours free when you sign up for our free daily IL postcards below.